It’s been a glorious week at the studio and I am glad to report we will be having more “open studio” dates in 2011 thanks to a New Wesley Chapel Photography Studio. With a unique “plug-and-play” setup this airplane hangar studio offers a cost effective photography studio rental solution in Central Florida and throughout Tampa Bay. Just bring your DSLR, plug-in the wireless flash adapter and start shooting! What started out as a stock photography endeavor has quickly become a popular destination for local photographers as well as producers looking for amenities close to small airports – How about right on the runway!!! Ours has to be the most convenient photography studio for anyone looking to fly in, have a delicious catered meal, spend the day shooting then fly out with no commercial airport hassle whatsoever. 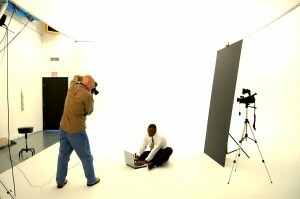 Are You Looking to Rent a Photography Studio in Wesley Chapel? You’re one phone call or email away from an entire day of indoor photography bliss through our affordable photography rental studio located in Wesley Chapel, less than 30 minutes from the downtown core. Posted in Stock Photography, Tampa Studio and tagged Photo Studio for Rent in Wesley Chapel, Photo Studio in Tampa, Photo Studio in Wesley Chapel, Photography Studio in Tamp, Photography Studio in Tampa, Photography Studio in Wesley Chapel, Photography Studio Rental in Wesley Chapel, Photography Studio Tamp, Photography Studio Tampa, Studio Lighting for Rent, Studio Lights for Rent, Tampa Photo Studio for Rent, Tampa Photographer Studio for Rent, Tampa Photography Studio for Rent, Tampa Studio for Rent, Wesley Chapel.